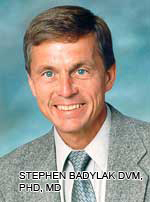 Regenerative Medicine Today welcomes back Stephen Badylak, DVM, PhD, MD. 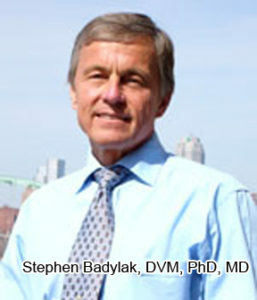 Dr. Badylak is a Professor in the Department of Surgery, a deputy director of the McGowan Institute, and Director of the Center for Pre-Clinical Tissue Engineering within the Institute. Dr. Badylak discusses his work with the new journal, npj Regenerative Medicine. For more information about npj Regenerative Medicine, click here. For more information about Dr. Badylak, click here. 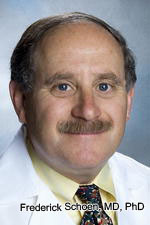 Regenerative Medicine Today welcomes Michael Steketee, PhD. 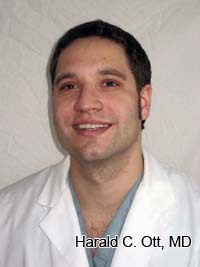 Dr. Steketee is an Assistant Professor of Ophthalmology, UPMC Eye Center and the Fox Center for Vision Restoration. Dr. Steketee discusses his research on tissue engineering and optic nerve regeneration. 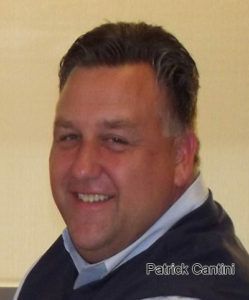 For more information about the Dr. Steketee, click here. 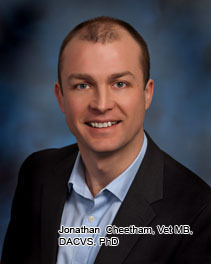 Regenerative Medicine Today welcomes Jonathan Cheetham, VetMB, PhD, DACVS. Dr. Cheetham is a Research Scientist in the Department of Clinical Sciences, Section of Large Animal Surgery, at Cornell University College of Veterinary Medicine. Dr. Cheetham discusses his research focusing on restoring function in the larynx, nasopharynx and trachea using tissue engineering, reinnervation and functional electrical stimulation techniques. For more information about Dr. Cheetham, click here. 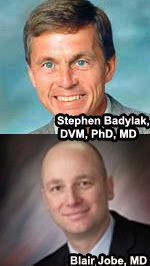 Regenerative Medicine Today welcomes back Stephen F. Badylak DVM, PhD, MD, and also welcomes former marine Sgt. Ronald Strang. Dr. Badylak is a Professor in the Department of Surgery, a deputy director of the McGowan Institute for Regenerative Medicine (MIRM), and Director of the Center for Pre-Clinical Tissue Engineering within the Institute. Dr. Badylak discusses an upcoming clinical trial involving muscle loss due to severe trauma. Sgt. Strang relates his experience as a recipient of the novel therapy. Regenerative Medicine Today welcomes Harald Ott, MD. Dr. Ott is at Massachusetts General Hospital, Harvard Medical School, and his interests are cardiac cell therapy and cardiac tissue engineering. Dr. Ott discusses his research in whole organ engineering, focusing on the heart. For more information about Dr. Ott, click here. 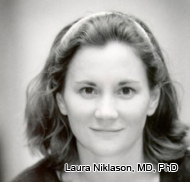 Regenerative Medicine Today welcomes Laura Niklason, MD, PhD. Dr. Niklason is the vice chair for research anesthesiology as well as a professor of anesthesiology and biomedical engineering at Yale University. Dr. Niklason discusses her research in arterial and lung tissue enginering and in whole organ engineering. For more information about Dr. Niklason, click here. 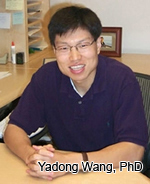 Regenerative Medicine Today welcomes Yadong Wang, PhD. Dr. Wang is an Associate Professor of Bioengineering at the University of Pittsburgh. Dr. Wang discusses his research in tissue engineering and his focus on exploring means to translate cutting-edge materials innovations into clinical benefits. For more information about Dr. Wang, please click here. 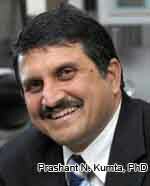 Regenerative Medicine Today welcomes Prashant N. Kumta, PhD. Dr. Kumta is the Edward R. Weidlein Chair at the University of Pittsburgh Swanson School of Engineering and is a professor in the Departments of BioEngineering, Chemical and Petroleum Engineering, and Mechanical Engineering and Materials Science. Dr. Kumta discusses his tissue engineering research, focusing on bone regeneration. For more information about Dr. Kunta, click here. Regenerative Medicine Today welcomes Stephen Badylak, DVM, PhD, MD, who is Professor in the Department of Surgery, deputy director of the McGowan Institute for Regenerative Medicine, and Director of the Center for Pre-Clinical Tissue Engineering within the Institute, and Blair Jobe, MD, Associate Professor of surgery in the Heart, Lung and Esophageal Surgery Institute at the University of Pittsburgh and UPMC. Drs. Badylak and Jobe discuss the recent successful use of tissue engineering in a non-invasive surgery to treat esophageal cancer as well as the potential benefits this technology holds for the future. For more information about Dr. Jobe, please click here. To make an appointment with Dr. Jobe, please click here. To view the CBS 60 Minutes segment that feature Drs. Badylak and Jobe, please click here.